Oppo AX5s has been quietly launched in Taiwan, it is the latest possible mid-range smartphone device from the Oppo Mobile in the A series. 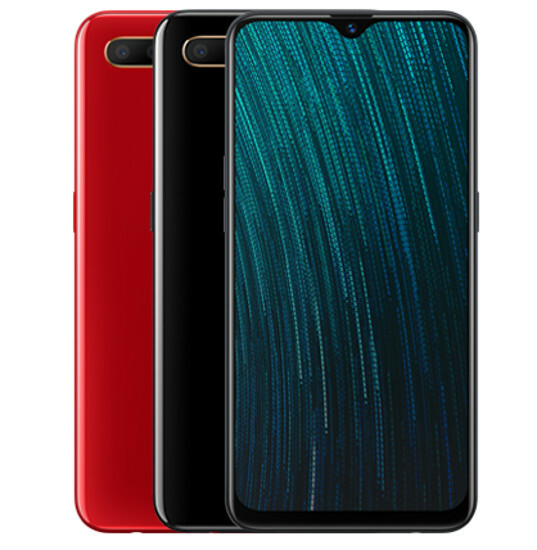 The device will be available in Black and Red colors, while no further details about the pricing or availability yet. The Oppo Ax5s features a 6.2-inch HD+ (720 x 1520 pixels) waterdrop notch screen with 2.5D curved glass, and 19:9 aspect ratio. It is powered by a 2.3 GHz octa-core processor that’s fueled by MediaTek Helio P35 (MT6765) 12nm CPU paired with IMG PowerVR GE8320 GPU. The device packs in 3GB of RAM and 64GB of internal memory which is expandable up to 256GB with the help of microSD card slot. On the camera front, the AX5s sports a dual rear camera setup: 13-megapixel main sensor with LED flash, f/2.2 aperture, along with a secondary 2MP camera with f/2.4 aperture. For selfie, there is an 8-megapixel front-facing camera with f/2.0 aperture. The handset runs on Android 8.1 Oreo with ColorOS 5.2 UI on top and packs a 4230mAh battery. It has a dual SIM card slot on board along with 4G VoLTE connectivity, apart from 4G includes 3G, WiFi 802.11 b/g/n, GPS, GLONASS, Bluetooth 4.2, USB OTG, 3.5 mm audio jack and FM Radio connectivity options. It measures 155.9×75.4×8.2mm and weighs 170 grams.